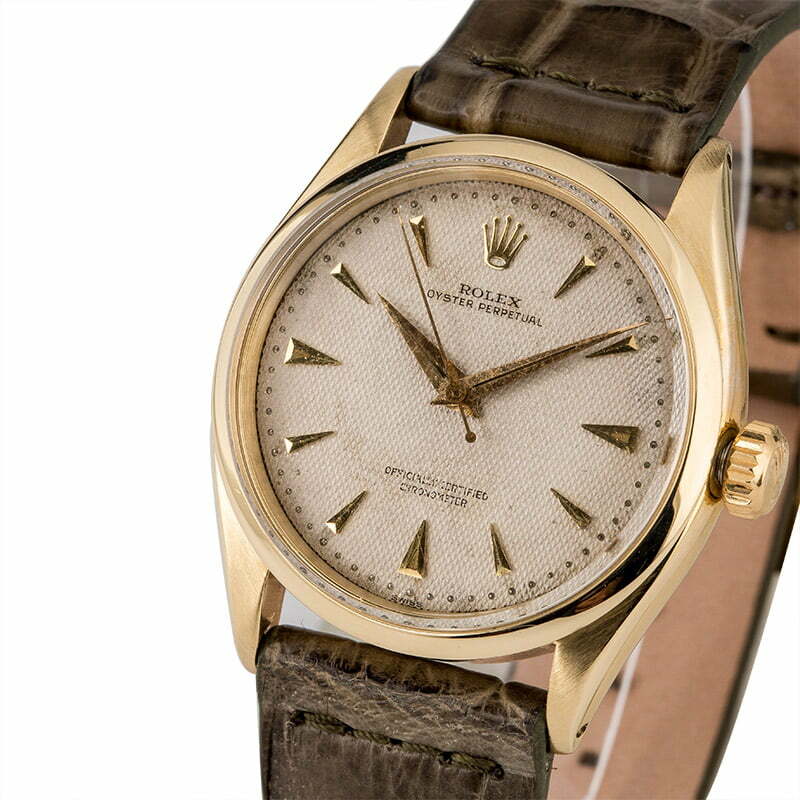 The vintage Rolex Oyster Perpetual ref. 6284 was produced sometime in the 1960's and boasts incredible character and history. 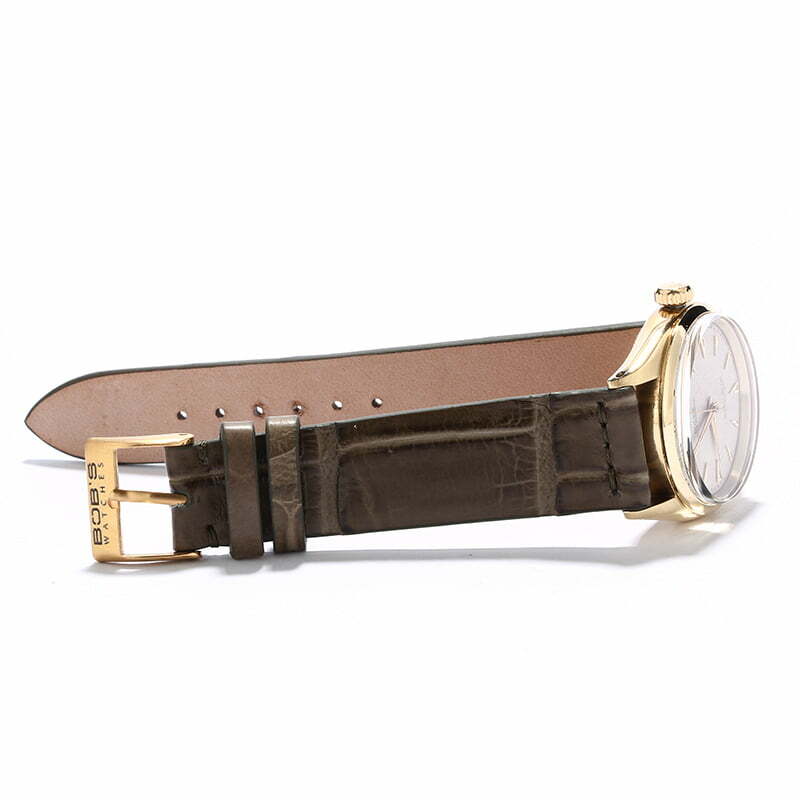 As a classic time-only dress watch, the case measures a modest 34mm and a features a smooth bezel and an acrylic crystal. 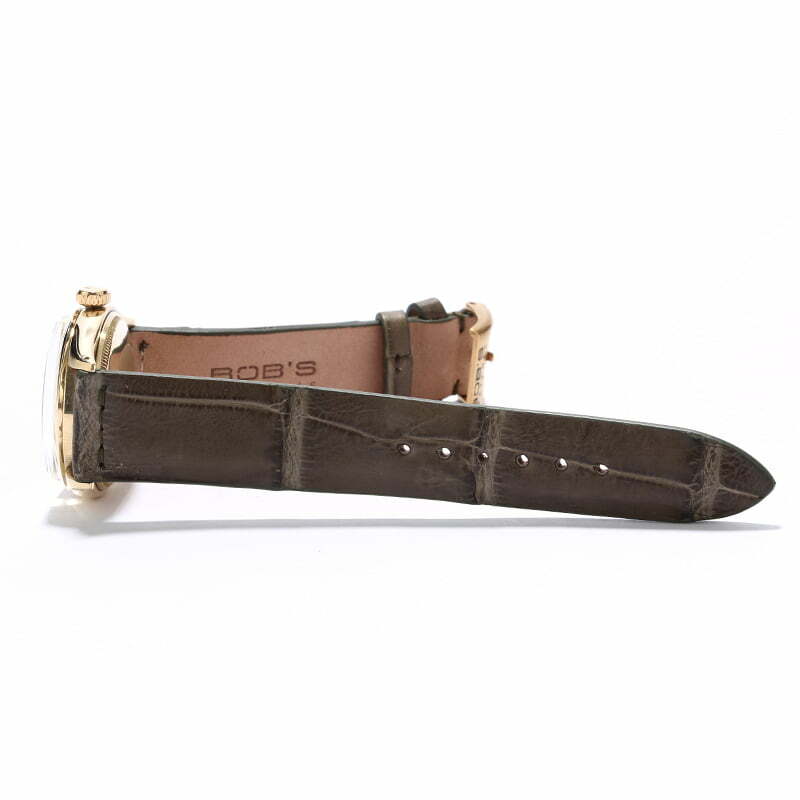 A manual-wind movement sits within the case and is protected against moderate wear via a waterproof screw-down crown. Watches of this age may have lost most of their waterproofness, so great care must be taken to preserve an accurate reading. The most notable feature of this ref. 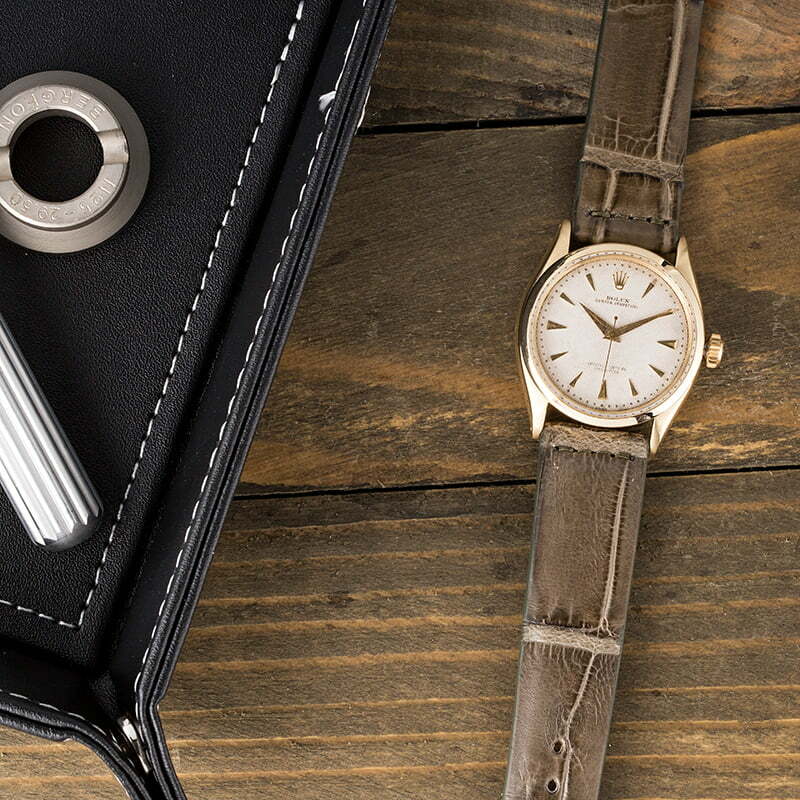 6284 is the ivory waffle dial, which has aged handsomely and displays the time via arrowhead hour markers, a Rolex logo at 12 o'clock, and Alpha hands.